"The true witch-magic of a wood on a midsummer night when the trees are heavy with leaves, and every leaf, however still the forest, has a voice and a secret all its own..."
Diabolic Candelabra (1942) is numbered seventeen in E.R. Punshon's Inspector Bobby Owen series, now attached to the Wychshire County Police, where he doubled "the parts of head of the somewhat scanty Wychshire C.I.D. with that of secretary to the chief constable," but this enigmatically titled entry is generally considered to be one of Bobby Owen's best performances – navigating through a complex and labyrinthine plot of Mitchellian imagination. One review even stated "that in the construction of mazes," Punshon's "only rival was John Dickson Carr." You can understand, as someone who admirers both Carr and Mitchell, that this particular title has been hovering around my wish list for many years. So I was elated when the Dean Street Press announced they were resuming their series of reprints of Punshon’s work and our resident genre-historian, Curt Evans, wrote new introduction for each title, which usually provide a back story for the book in question – e.g. an account of the real-life murder case that inspired the plot of Murder Abroad (1939). 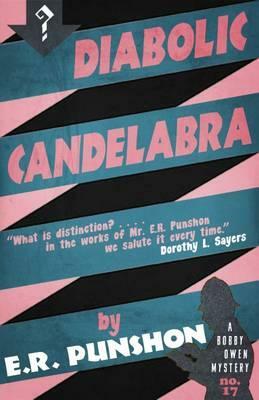 The introduction for Diabolic Candelabra tells of no such real-world connection, which, considering the fairytale-like plot, seems very fitting. However, I should note that Evans mentioned that the book appeared on his 2010 list of 150 Favorite Golden Age British Detective Novels. Under his list of favorite Punshon novels, Evans says he has been "undeservingly out-of-print." Well, that has changed in recent years, hasn't it? 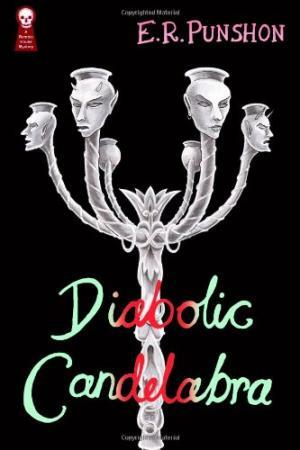 Diabolic Candelabra has a dense, intricate plot with as many different branches as the titular candelabra, but one that's as solid as a brass candlestick, which begins with a recipe for "the most scrumptious chocolates that ever were." Or to be more precise, the story begins with a quest for this furtive recipe. Mrs. Weston gave Olive, the wife of Bobby Owen, a sample of these "miracle chocolates," but the gift came with a request for help: she wants to sell these heavenly treats at a church bazaar, however, she has no idea where to find the person who makes them – a Miss Mary Floyd. She sells the chocolates through a place called "Walters," a tea shop, but they've no idea where exactly she lives. So Bobby and Olive are going to chase "a chocolate to its lair." The lair in question is in actuality a small, lonely cottage tucked away in the thick, overgrown and sprawling forest of Wychwood. Miss Floyd shares the modest dwelling with several of her relatives: a poor, invalid mother, a stepfather of ill-repute and a nine-year-old sister, "Loo," who prefers the live among the animals of the forest. She is a character very reminiscent of Mowgli from Rudyard Kipling's The Jungle Book (1894). Bobby and Olive learn from Miss Floyd that the recipe for the special chocolates is a secret, but one that belongs to a local legend. Peter the Hermit is an elderly herbalist who lives deep in the woods in a ramshackle, one-room hut and never took a dime for his remedies, if he liked you, but often chased people away with an axe – which, nonetheless, gave him some popularity. But not with everyone. The local physician, Dr. Maskell, labeled him as "a public danger" and thinks of him as "nothing more than a licensed murderer," because there's "half a dozen in their graves" who ought to be alive. Add to this the persistent rumor that the hermit was sitting on a stash of gold and it becomes to be expected Bobby finds an abandoned, ransacked hut with a bloodstain on the floor. Both the axe and the hermit were missing. For most mystery writers, this would've been more than enough to write a story around, but Punshon kept tying plot-threads to the main storyline: the owner of the previously mentioned tea shop, Charles Clayfoot, has gone missing around the same time and place as the Peter the Hermit. A very fat, red-haired man has been asking around for the chocolate recipe and Bobby saw a young man washing his hands by a small stream, but this person picked up his briefcase and fled the moment he noticed he was being watched. Bobby is also told about an unsolved mystery: fifty years ago, two El Greco paintings vanished mysteriously from Barsley Abbey and there seems to be a renewed interest in the village to find them again. These missing paintings play an important part in the story, but there's another object that disappeared around the same time, The Diabolic Candelabra, which is attributed to Benvenuto Cellini and "each branch was carved in the likeness of a human face twisted into every variety of hate and malice" – both of them are linked to the family history of the local gentry. And they bring their own set of problems and complications to the case that is unfolding in front Bobby's eyes. This all makes for a very intricate, maze-like and memorable story, which, despite of its many intricacies and peculiarities, becomes very simple and easy to understand by the end of the book. I feel proud for having spotted the cleverly hidden murderer long before the final chapter, but was equally surprise when Punshon, very briefly, hid this person again during that wonderful, candlelit scene in that dark, atmospheric place – which made me think for a moment my solution was completely wrong. What I also liked about the book is how it reminded me of Gladys Mitchell's Come Away, Death (1937), which had similarly structured story: a ball of strange and unusual plot-thread that eventually lead to the discovery of a body in the final quarter of the book. Well, I sincerely hope I've done the plot of Diabolic Candelabra some measure of justice with this review, because I found the plot a bit tricky to describe, but one that's as rich as pure chocolate and as intricate as a hand woven tapestry. 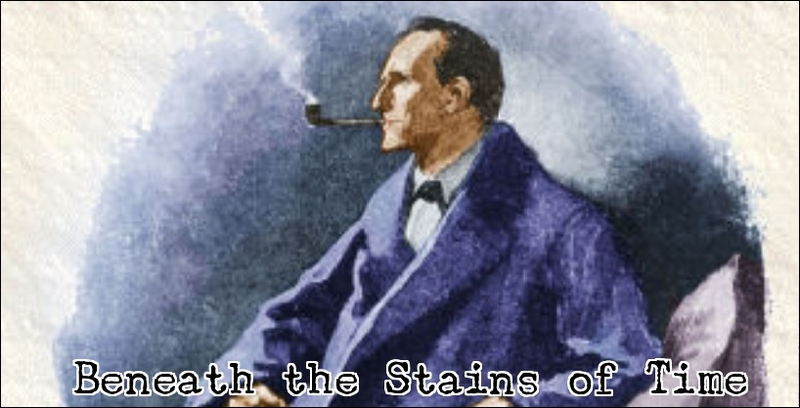 Undoubtedly, one of his better and most original mystery novels. "The career of the locked-room mystery in literature has been nothing short of exemplary." Earlier this week, one of my fellow locked room enthusiasts, JJ, wrote a scathing blog-post about the selection of short stories from a recently published anthology, Classic Locked Room Mysteries (2016), which was edited and compiled by David Stuart Davies – who is primarily known as a writer of Sherlockian fiction and Holmesian studies. JJ dismissed the collection as both "the laziest anthology of classic crime tales ever assembled" and as a missed opportunity "to bring back into circulation stories that aren't readily and easily available." I can only agree with his criticism about the choice of stories: the table of content resembles a well-attended reunion of all of the obvious suspects who regularly turn up in these kinds of anthologies. However, I've never seen them all neatly gathered in a single volume. They're all there! The stories range from Edgar Allan Poe's "The Murders in the Rue Morgue" and Jacques Futrelle's "The Problem of Cell 13" to Melville Davisson Post's "The Doomdorf Mystery" and G.K. Chesterton's "The Invisible Man," but the saddest part is that all but one of the stories are in the public domain and appeared in some fairly recent anthologies – specifically The Mammoth Book of Locked Room Mysteries and Impossible Crimes (2000) and The Black Lizard Big of Locked Room Mysteries (2014). It simply reeks of a quick, easy and cynical cash-grab. JJ was right when he spoke of a missed opportunity, because a good, historical and interesting collection could've been cobbled together with stories from the public domain, but that would've required a bit of work. 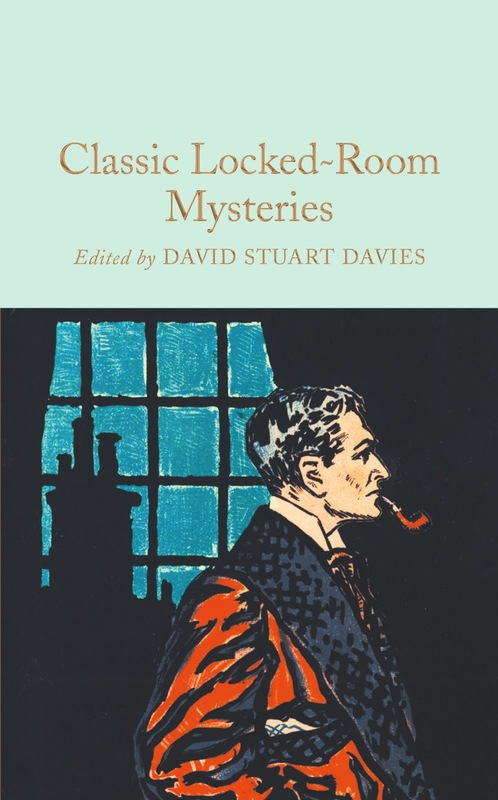 There are a ton of locked room yarns from the nineteenth and early twentieth century that were swallowed by the mists of time, which would make for an interesting and even historically important anthology. You only have to crack open and skim through Robert Adey's Locked Room Murders (1991) to find more than enough material for such a collection. So guess what I did? I arranged an alternative line-up of fifteen titles for Classic Locked Room Mysteries or a hypothetical, non-existent anthology, called Ye Olde Book of Locked Room Conundrums, but I've not read every single story on this list – which were picked because they sounded interesting and were rarely or ever anthologized. And that's kind of the point of this blog-post: pointing out the stories that have been ignored and overlooked by anthologists for decades. I also threw in a handful of familiar names to give this potential collection some star power. As noted above, I've not read all of these stories myself, but good, bad or dated, I think most of us would love to explore them between the covers of a single collection of short stories. You've to do a bit of digging to find them all, but such a book would still be dirt-cheap to produce. And readers would not feel like they're being ripped off. So let me know what you think of my compilation and how it compares to Davies' Classic Locked Room Mysteries. "All I shall beg leave to murmur, gently, is: rubbish. You cannot mix the two worlds like that. This was a human crime, planned by a human being." Anita Blackmon was an American schoolteacher who turned to fiction and penned over a thousand short stories for the periodicals of her day, which included such publications as Love Story Magazine, Detective Tales and Weird Tales, but she was also the author of two highly regarded mystery novels – i.e. Murder à la Richelieu (1937) and There is No Return (1938). One of the genre's eminent critics, Howard Haycraft, listed Blackmon as one of the premier writers from the Had-I-But-Known, often shortened to HIBK, school of mystery fiction, which was founded by Mary Roberts Rinehart. After she passed away in 1943, Blackmon's work dropped out of the public consciousness. She seemed to be destined for obscurity, but, as the saying goes, the internet never forgets and some prominent connoisseurs of murders, like Curt Evans, started writing about her – which resulted in her work being reissued. Now there are several different editions available of her two mystery novels. 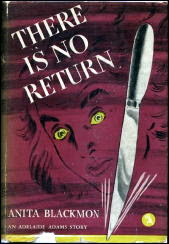 Murder à la Richelieu is regarded by Evans as the better of those two novels and perhaps the most logical point of departure, but I decided to start with the second and last book from this short-lived series – because the description of the plot suggested something along the lines of Carter Dickson and Hake Talbot. There were promises of ghostly possessions, fake spiritualism and a gruesome killing during a séance. Well, I was not entirely disappointed about what I got. 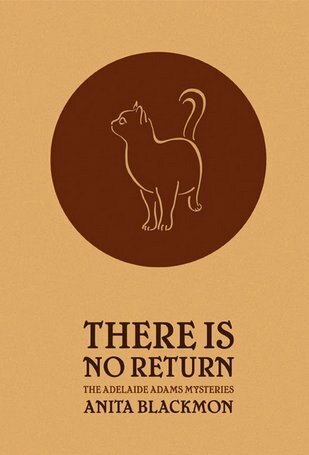 There is No Return was alternatively published as The Riddle of the Dead Cats and has Blackmon's series character and narrator, Adelaide Adams, coming to the aid of an old friend, Ella Trotter, who found herself in a "macabre and sinister tangle at Mount Lebeau." Lebeau Inn is a mountain resort in the Ozarks, located on Mount Lebeau, which is the highest spot between the Cumberlands and the Rockies, but the place "had gone steadily gone to seed." It was in a far-flung, difficult to reach corner of Arkansas and this largely contributed to its decline. So it was inevitably that the shabby-looking, tumbledown place fell into the hands of the bank and this brought one of their stockholders to the inn, Mrs. Trotter. Adelaide knows her friend is probably doing everything in her power to drum up business, but, recently, events were unfolding at the inn that made her reflect that if she had "foreseen the train of horrible events" she would have "left Ella to lay her own ghosts" – which is in the best tradition of the HIBK-school. Mrs. Trotter tells Adelaide how several cats had been found dead, "cut all to pieces with a sharp knife" and "left to die like that in agony," which is unsettling enough, but the cat-killings coincided with a series of séances and an apparent case of possession. The séances are conducted by professor Thaddeus Matthews, a self-professed spiritualist, but Mrs. Trotter calls him "a fraud of the cheapest rank" and impresses Adelaide as a vaudeville-type charlatan, but, regardless, he has one firm believer. Don Canby is the wife of a wealthy business magnate, Thomas Canby, who suffered a terrible lost when their daughter, Gloria, took her own life. Gloria was not a very balanced person and her father wanted to put her in an institution, which is assumed to have been her motive for suicide. And it is said that "suicides cannot rest in their graves." Gloria's ghost seems to be very present and not only as a voice in the medium’s head, playing a game of twenty questions, but manifests herself by possessing the body of Matthew’s stooge, Sheila Kelly – who is a dead ringer for the dead girl. A resemblance that grows stronger whenever she lapses into one of her trances. Or when she found a dead canary in her bedroom, because Gloria had "a mania for wringing their necks." Even for a stooge, Kelly seems to be absolutely frightened about being possessed and this aspect of the story is turned into a persecution plot-thread, which turned out to be somewhat reminiscent of the pall of suspicion that hang over Fay Seton in John Dickson Carr's He Who Whispers (1946). Seton was accused of both a murder and acts of vampirism, while Kelley is looked at as if she acted as a vessel for a vengeful spirit and one of the characters remarked how she "should have been buried with a stake in your heart to pin you down forever." This plot-thread began to unwind in the wake of a gruesome death: one of the guests had his throat slit when the lights went out during a séance and the sheriff has her confined to her room as the prime suspect. Regardless of this measure, the inn continues to be plagued by misfortunes, death and the ghost Gloria. The pontoon bridge is washed away, which isolated them on the mountaintop, while two more people get their throat cut open or stabbed in the heart. All of this makes for a dark, atmospheric novel of mystery and suspense, which does justice to the largely empty, worn-out hotel that's used as a backdrop. You can easily imagine a knife-wielding killer rubbing shoulders with malevolent ghosts in the squalid corridors of the Lebeau Inn. On top of that you have the wonderful, snappy narrative voice of Adelaide Adams, which makes me want to pick up Murder à la Richelieu one of these days. The plot was also pretty fair: the murderer and motive were logical, but the clues pointing to this explanation were a bit scarce. Nevertheless, they were present in the story and there's one clue, if you spot it, that points straight at the murderer. So this definitely a fair-play mystery. However, I do have one or two minor complaints about the overall plot: after the premise of the plot was presented, the story became slightly repetitive and the second half of the story used everything from the first half. I'm not sure if that makes any sense, but the best way I can describe is by saying that all of the creativity and ideas were in the first half of the book. Secondly, I did not like the hypnotic-angle of the story. That's not a spoiler. It revealed shortly after the murder this may've played a part in the murder, but that’s pretty much the only bad part of the plot. Otherwise, There is No Return is a splendidly dark tale of murder, suspense and fake spiritualism, which gave a Carrian touch to a classic Had-I-But-Known mystery novel. There are some slight imperfections in the plot, but these smudges hardly deteriorate the overall quality of the book. On a final note, it looks as if I've a genuine, old-fashioned classic from the Golden Age for my next read, but the review of that book might be preceded by a filler-post. Because I had not done one of those in ages. "You see... assuming this to be murder, we have to go look for a motive." As was noted in my review of Death at St. Asprey's School (1967), I suffer from a chronic lack of enthusiasm for Leo Bruce's secondary series, revolving around the sleuthing activities of a history teacher, named Carolus Deene, which always struck me as the antithesis of his Sgt. Beef stories – an excellent series of bright, humorous and clever parodies of the detective story. On the opposite side of the spectrum, you'll find the dark, moody and plodding affairs of the Deene books. Now, I do not mind that a darker, grainier and plodding mood replaced the light-hearted and comedic approach in Bruce's second series. That's not my (main) bone of contention with these stories. It is that, whereas the Sgt. Beef novels have pleasantly paced, naturally flowing narratives, the story progress in the Deene stories stagger, from one chapter to another, like a rusty automaton – which could have been a forgivable offense if it weren't for a severe deficiency of originality. I've read three books from this series and two of them have plots that leaned very heavily on recycled or even "borrowed" material, but this is, reportedly, par for the course for this series. In the comment section of my review of Death at St. Asprey's School, Nick Fuller, who blogs (far too infrequently) at Escape to Adventure, opined about the Deene series that they are, at best, "very small beer" with dreary settings, plodding interviews and "gimmicky plots cribbed from better writers." Not exactly what a publisher is looking for in a potential cover blurb! I also found it slightly discouraging, but there was one specific book I wanted to sample, no matter what, for which I had a very obvious and predictable reason: the story in question was listed by Robert Adey in Locked Room Murders and Other Impossible Crimes (1991). Hey, I said it was obvious and predictable. Nothing Like Blood (1962) is the eleventh Carolus Deene novel and this time the tangled mess of trouble is brought to him by an old friend of his mother, Helena Gort, who "had been one of those adventurous women who made arduous journeys in dangerous places" and "wrote lively books about them," but her temporary residence at an English seaside guest house proved to be one of her strangest experiences – where everything appeared to be rather sinister. The place is called Cat's Cradle and the house is a long, plain-looking structure perched on a rocky headland, looking out over the sea, which has its cliff-side on the eastern side of the home. It was recommended by acquaintances of Helena Gort, who had a very comfortable stay, but when Helena arrives she finds all of her fellow guests on edge. Some of them were very jittery and "an atmosphere of suspicion and intrigue" permeated the air. The source of all of the unspoken suspicion and unease seemed to sprang from the death of one of the guests, a Mrs. Mallister, who had passed away two months previously of heart disease. It was hardly an unexpected passing: Mrs. Mallister "had been under a sentence of death for some time" and she had been on her deathbed for days when the end finally came. So everything seemed above board, but was there anything more to her death? After all, there are "heart attacks and heart attacks." Or so the rumors go! Well, Helema decided to keep a diary and the first half of the story consists of these diary entries, which are used to flesh out the problem, setting the stage for an impossible murder and introducing the characters, but the characterization is a bit of a weakness in this one – because all of the characters are defined by their eccentricities or lack thereof. There is, for example, a retired colonial bishop, named Grissell, who has the habit of lapsing into anecdotes, but can never remember whether his stories happened in such places Basutoland or Bloemfontein or Zanzibar or Zesfontein. It's somewhat annoying when used as a recurring and defining personality trait. The diary entries cover chapters 2 to 9 and ended when the story began to drag itself out, which was also the point when Bruce introduced the locked room angle of the plot. It was a sure-fire way to get my attention. A pair of holiday-makers from a nearby camp decided to take out a rowing-boat for a spot of moonlight peddling, but when they came close to the house they saw one window "lit up like a stage" and a woman was seen smoking cigarette on the stone balcony – when, all of a sudden, she took a dive over the edge. Right on the rocks below. Nobody else was seen on the stone balcony, the door to her bedroom was locked and the only key was found on the body. So, as to be expected, the Coroner's Inquest returned a verdict of suicide, but the explanation that proved this apparent suicide to be murder was surprisingly clever, original and well clued. A very simplistic trick, but one that's clever and fresh. I expected an entirely different kind of explanation based on the presentation of the crime and the series reputation for cribbing plots, which made me settle down for a solution that was very similar to those from an episode from the Cabin B-13 radio program, namely "The Bride Vanishes," and The Whistling Hangman (1937) by Baynard Kendrick. As a consequence, I also settled down on the wrong culprit, but this may've, somewhat, saved the book for me. My very mundane, dime-a-dozen explanation was proven completely wrong by a far more competent solution that showed a bit inventiveness and was very well clued. It was even hinted at how it was possible that the murderer appeared to be invisible to the witnesses. The way in which the supposed suicide was tied to the apparent natural death was also somewhat off the beaten track. So these (connecting) parts of the overall plot were pretty good, but, sadly, they're stuck in an unengagingly written, slow-moving and mediocre novel, populated with cardboard characters, which made for a very average and uneven mystery novel. Simply put: the plot deserved a better story. Well, I'm not sure if and when I'll return to the Carolus Deene series, but my next Leo Bruce is going to be one of the last two Sgt. Beef novels on my TBR-pile, which are Case Without a Corpse (1937) and Neck and Neck (1951). Hopefully, I'll pick something better and easier to write about for my next review. Don’t touch that dial! "You know, we do make a pretty good team... especially when the chips are down." 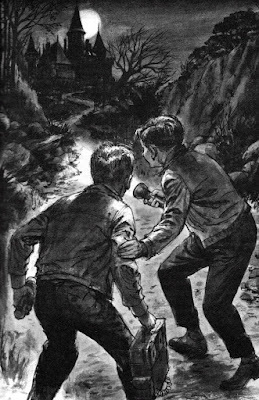 Robert Arthur was the literary father of those three young lads, Jupiter "Jupe" Jones, Pete Crenshaw and Bob Andrews, who together form The Three Investigators and they were formerly introduced to the world in The Secret of Terror Castle (1964). 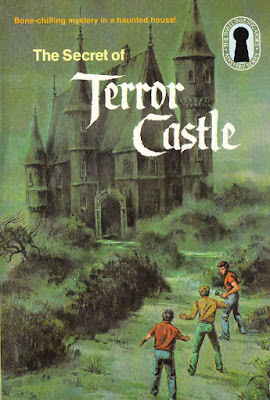 The Secret of Terror Castle was the point of departure for a successful, long-running series of juvenile mysteries that covered a large chunk of the second half of the previous century and would finally comprise of forty some volumes written by five different authors – such as William Arden, M.V. Carey, Nick West and Marc Brandel. Additionally, there were two, short-lived spin-off series, published as Find-Your-Fate Books and Crimebusters, several audio-plays, puzzle books and even some recent TV-movies from 2007 and 2009. All of that began with Robert Arthur and his very Scooby Doo-like mystery-and adventure novel, which, after this clunky, rickety written introduction, is going to be the subject of this blog-post. The Secret of Terror Castle opens, like most of the stories from this series, with an introduction from that famous film director, Alfred Hitchcock, who is a recurring side character in these books. There is, however, an obvious difference in their first outing: the reader is told how this unlikely partnership exactly came about and according to Hitchcock it was accomplished "by nothing less than sheer skullduggery." He sort of has a point. Jupe, Pete and Bob were probably not the first boys to try their hands at the detective business, but very few kids had the starter-kit they had: a damaged, thirty-foot mobile home trailer hidden among the piles of junk in the Jones Salvage Yard. The boys have converted the trailer in a headquarters and equipped the place with "an office, laboratory and photographic darkroom" with "several hidden entrances." On top of that, they've stack of professional looking, evocatively worded business cards in their pockets and an unrecorded case to their credit – which involved the recovery of a lost diamond ring. There was only one thing missing: a client. Luckily, they've a plan! A local car rental company held a contest: a big jar full of beans stood in their window and offered the use of a luxurious Rolls-Royce and a chauffeur for thirty days to whoever guessed the nearest to the right number of beans. Jupe spent several days "calculating how much space was in the jar" and "how many beans it would take to fill that space." Suffice to say, he won the thirty day use of the gold-plated Rolls-Royce and the services of an English chauffeur, named Worthington, which are used as a respectable front to get pass the gates of World Studios. It also helped that Jupe drew on his background as a child actor and pretended to be Hitchcock's nephew. Hitchcock is searching for "an authentic haunted house," which he wants to use as a setting in his suspense movie, but location scouts are scattered across various states and the boys offer to help find a haunted much closer to the film studios – in exchange Hitchcock has to introduce their first case. It takes some additional effort to convince the movie director, but they eventually leave the film studio with a genuine assignment in their pockets. Well, not surprisingly, the boys already had a location in mind: Terrill's Castle. A strange, castle-like building located in a narrow gulch, called Black Canyon, which became known as Terror Castle in the wake of the owner’s disappearance. Stephen Terrill was "a big star back in the silent-film days" and played in all kinds of horror pictures about ghosts, werewolves and vampires. He was basically the Vincent Price of his days and loved to frighten people, which is reflected in the construction of his home: Terrill imported construction materials from supposedly haunted buildings world-wide, which included Japanese timbers "of an ancient, ghost-ridden temple" and stones from a haunted castle on the Rhine – stuffing the place with ancient suits of armors, unsettling portraits and Egyptian mummy cases. The dawn of the talkie spelled the end of Terrill's movie career and this devastated the Man of a Million Faces, which caused him to lock himself up in his castle and brood, before he completely vanishing from the face of the earth – leaving only an empty car at the bottom of a cliff and a threatening note behind. In the note, Terrill placed a curse on the house and promised that nobody would be able to live there. His spirit seems to have made good on that promise, because everyone who tried to stay there ran out of there faster than a bat out of hell. And that scared off a lot of potential buyers. Jupe, Pete and Bob make several assaults upon the haunting entities of Terror Castle, but they first have to overcome "a sensation of extreme terror" and "impending doom" that befalls everyone who crosses the threshold of the castle. The first time they experienced this they left cartoon smoke behind. Regardless, they slowly penetrate through "the fog of fear" and begin to gauge the truth behind the paranormal activity of the place, which includes a nifty spectral appearance in the projection room – namely "a shimmering blob of misty blue light" that conjured "ghostly wheezes and screeches" from a ruined pipe-organ. A large chunk of these apparently paranormal events can be labeled as semi-impossible problems, but their explanations were of the obvious, timeworn variety. Only how the sense of terror was achieved was somewhat fresh and original. But hardly enough to quality the book as an impossible crime story. The first explanation offered for the identity of the ghosts and the motivation for creating a haunted house is obvious one, but then Arthur surprises both the boys and the readers by springing a surprise twist on them – which was not foreshadowed and very, very hackneyed. It showed Arthur had his roots in the pulps, but this was pretty bad and the only positive part was that it placed Jupe and Pete in very tight spot. And that always makes for a good scene or two in this series. Luckily, the second twist rectified all that was wrong with the first twist and provided an overall satisfying explanation for the plot. There was, however, one obvious flaw in the overarching plot: why were Hitchcock's location scouts not aware of a haunted castle so close to the film studio? The Secret of Terror Castle is, ultimately, a very simplistic story, but therefore not a bad one and for an opening salvo to a long-running series it was actually pretty good. I've read some pretty bad debuts from regular mystery authors and this was definitely not one of them. So this was an auspicious beginning of the series. Other books reviewed in this series: The Secret of Terror Castle (1964), The Mystery of the Whispering Mummy (1965), The Mystery of the Vanishing Treasure (1966), The Secret of Skeleton Island (1966), The Mystery of the Moaning Cave (1968), The Mystery of the Shrinking House (1972), The Secret of Phantom Lake (1973) and The Mystery of the Invisible Dog (1975). "Oh, listen, just one more thing... it was not a suicide and they've officially assigned me to the case. That's my specialty, you know. Homicide." 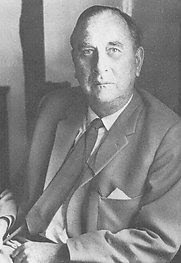 Sir Basil Thomson had a varied and storied career in the service of the British government, serving as prison governor, intelligence officer, assistant commissioner of police and assistant premier of Tonga, which gave him a rich background to draw from when he turned to fiction – penning a spate of short stories and early examples of the police procedurals. I've only read one of his short stories and three full-length novels, but they differed as much from one another as their authors various government gigs. Richardson's First Case (1933) is a literary ancestor of the modern roman policiers and The Milliner's Hat Mystery (1937) is an adventurous police-thriller with components of the chase story and the inverted mystery, in which policemen from two countries are crossing swords with the members of an international gang of dope peddlers. 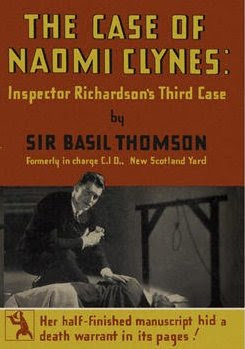 The third book from Thomson's series of police novels, The Case of Naomi Clynes (1934), conforms to this pattern of variation in both plotting and storytelling. In his third outing, Thomson tried his hands at a genuine detective story and even has Richardson working in tandem with an amateur or two. But more on them later. The Case of Naomi Clynes begins when a charwoman tries to enter an apartment, located above a milk shop, but she's immediately repelled by the gas fumes that has filled the rooms: the tenant of the room, Miss Noami Clynes, is found on the floor of the kitchen with her head in the gas-oven – all of the taps turned on. A typewritten note is found explaining she has come "to believe that life is not worth living" and "that it is no crime to put an end to it," but Malcolm Richardson, recently promoted to the rang of inspector, uncovers evidence that tells a different story. Richardson learns that Miss Clynes was "a budding authoress," a mystery writer to be precise, who had succeeded in finding a publisher and they had accepted her first novel on very liberal terms, which is not exactly a reason to crawl into a gas-oven. On the contrary! There is also a ton of physical evidence uncovered indicating the presence of an unknown person in the apartment at the time Miss Clynes allegedly took her own life: a gold-tipped cigarette is found near the fridge and cigarette-ash is found in the living room, but Miss Clynes was described as an anti-smoker – which she viewed as a dirty, messy habit for a woman to indulge in. In addition to that, Richardson plucked a strand of green wool that was stuck beneath a tack in the floor used to hold down the cork carpeting, which came from the back of the victim's dress and suggest she was dragged from the sitting-room into the kitchen. Throw in a coffee cup containing traces of poison and you’ve got yourself a murder case. The first half of the investigation is very reminiscent of the police procedural-style from Richardson’s First Case, in which Thomson gives more consideration to the proper and legal procedures of a police investigation than can be found in series of the time with a police inspector at the helm – e.g. Michael Innes' Inspector John Appleby and Ngaio Marsh's Inspector Roderick Alleyn. This investigation encompasses information that needs to be pried from some of the other tenants and delving into the past of the victim, which lays bare a trail leading straight to France and that's where the story really begins to get interesting. In fact, there are a number of plot-threads stretching across the channel, but, in order to follow up on them, Richardson accepts the help of an old friend of the C.I.D. James Milson is a publisher of mystery and thriller novels, but he used to lend his remarkable brain to Scotland Yard "whenever they’re really up against it" and his firm was accepted Miss Clynes first book. So he feels compelled to help the police in bringing her murderer to justice and travels to France to get information from one of her former employers. However, this would not be his last trip across the channel. Richardson takes a busman's holiday to France and is not only accompanied by James Milson, but the uncle of the latter, James Hudson, joins them and he turned out to be a fun character. Hudson is an American steel magnate from Pittsburgh and has a character "prone to exercise dictatorial powers," but he has a softer side and the ending shows a heart of gold was beating beneath his well-tailored clothes. Hudson has a nice, but short exchange, with Richardson about the differences between the political machines and judicial systems of the United States and England, which touches upon immigration, court systems, crime-rackets and State Rights. What they find in France is that the murder back in London has a very unusual origin, which turns the final quarter of the book into, what Bill Pronzini calls, humanist crime-fiction and gave the book a strange, but warm, ending. I found the crime at the heart of the murder to be very original. That added to the overall effect of the revelation. I wish I could tell more about the nature of this original crime, but I would only be spoiling a good read for you. It’s noted in the introduction of the book that "intricacy of plotting,' as judged by the standards of Agatha Christie and John Dickson Carr, "was not Thomson's true specialty," which is true, but I thought The Case of Naomi Clynes excelled in its beautiful simplicity – which becomes very clear during the final leg of the story. On top of that, there are some very original touches to the explanation. 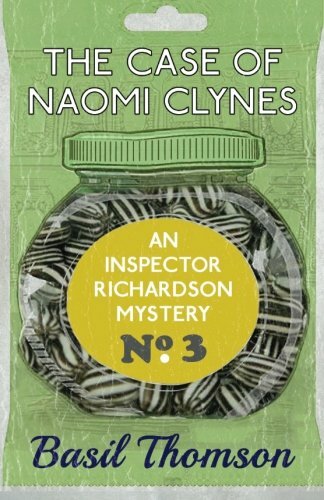 So, I would recommend starting with The Case of Naomi Clynes, if you have not yet sampled this series for yourself. It's by leaps and bound the best one thus far and the other entries from this series will have a hard time matching it. "You're not going to let him get away, are you?" David V. Reed was an American author who primarily left his mark on comic books, such as writing for Batman during the 1950s and co-creating the villain Deadshot, but he also tinkered with fiction and his work was published in various popular magazines – which included such publications as Amazing Stories, Fantastic Adventures, Astounding Science Fiction and Argosy. He seems to have been fluttering between the pulps and the slicks. 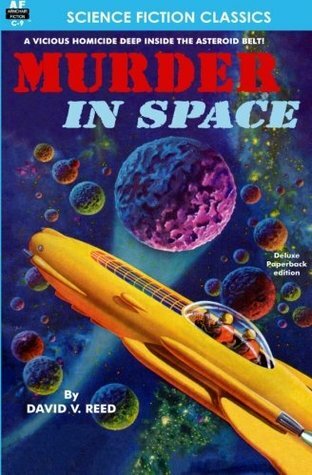 Murder in Space (1944) was one of Reed's experiments in fiction and originally appeared between the covers of Amazing Stories, but this hybrid-tale was doomed to drift to the darkest, deepest regions of literary obscurity. Sadly, I can see how this story failed to make an impact or leave a visible impression on any of the genres Reed attempted to incorporate into his story. The book attempts to transplant a semi-hardboiled crime story with touches of the legal thriller, courtroom drama and even the Western to the edge of our solar system. Regrettably, this mish-mash of genres fails to take off and is as poorly handled as the bits of speculative science, which showed asteroids capable of hosting life, but even I know space rocks usually lack the delicate atmosphere of a place like Earth – coming on top of a strange blend of contemporary and futuristic technology. On the one hand, the reader is expected to believe the solar system has been colonized with a vast array of advanced spaceships, but, on the other one, courtroom photographers apparently still use flashbulbs. Anyhow, I'm getting ahead of myself here. The backdrop for Murder in Space is a settlement on a planetoid, named Mirabello, which is a lush mining community, with "its twin golden suns" blazing "merrily from a sky of flawless blue," and the place has the tendency to be a prosperous, peaceful space colony – extracting all of its prosperity from orium deposits in the surrounding asteroid belt. One of Mirabello's most well-known prospectors is Scotty Purdon: who owns the Silver Spoon Mine, "the famous bonanza," which is a well-kept secret and only Purdon knows its exact location. But, one day, Purdon fails to return from one of his regular mining expeditions and the person who is held responsible is the owner of the Wylie Lode. Before he came to Mirabello, Buck Wylie served a prison term of six months for "killing a man in a gunfight over a mine in Tyuio," but the old gunslinger settled down to honest life when he found riches in the Wylie Lode. However, when Purdon's spacecraft was found in free space, "empty and drifting," a demolition bomb with a time-fuse was recovered from the vessel, which had a score of identifying marks tracing the explosive back to Buck. The bomb is a good example of the discrepancy between certain bits of technology in this book: the explosive was found on a futuristic spacecraft that could traverse the asteroid belt, but the fuse of the bomb needs to be lighted like a stick of dynamite. In any case, Buck is hauled in front of a judge to be indicted for murder and the shadow of public suspicion came with a powerful enemy: John Murchison is a personal fiend of Purdon and the publisher of the local newspaper, The Mirabello City Twin-Sun, which he has uses a platform to form public opinion against the accused. So Buck's beautiful sister, Sue Wylie, engages Mr. Terwilliger Ames, Attorney at Law, to defend her brother. Terwilliger Ames came to the small mining planet from New York, but he soon comes to the realization that colonial space law is differs from regular law. One of them is that they don't "necessarily need the production of a dead body to indict and convict for murder." After all, the act of murder "is a simple crime when millions of miles of free space surrounds one" and a body can be disposed of "in any one of a dozen convenient hiding places in space" – which makes it hard to insist on a corpus delicti in every instance. Unfortunately, this interesting legal problem that space exploration and settlement brings with it is never fully explored and the body is exactly where it is expected to be. And this hidden location is eventually found by examining the fuel use and distance traveled by the spacecraft. I'm afraid that's all of the significant detective work done in this book. It's literary the furthest the plot got from moving beyond the set premise. There is not much else of interest happening in this book: Ames runs into some snags, get shots at with a ray-gun, gets fired, faces possible legal repercussions and hears of a second murder, but everything slightly promising is dumped by wayside as soon as they're introduced into the story. Well, I guess Ames' excursion and adventure inside the asteroid belt resulted in one or two decent scenes, but was obviously done to give the story a Western flavor and show, once again, the hand of the painfully obvious murderer – who had already been confirmed guilty by the halfway mark. The final portion of the book is an overlong, drawn-out courtroom scene, in which Ames, once again, goes over all the known facts in the case and lays a (simplistic) trap for the murderer based on a futuristic detection-device – which will provide the reader with a final groan. You'll know why when you read this one for yourself. If I would put it nicely, I would say Murder in Space under performed in every possible way imaginable, but, to put it bluntly, the story is atrociously bad and poorly imagined. The plot is painfully obvious and drawn-out. Its vision of the future is poverty stricken and never went beyond the basics of rocket ships and ray-guns. Not a single reason is given to care about any of the characters. 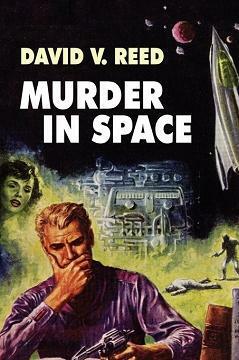 Honestly, the single genuine accomplishment of Murder in Space is that it can be mentioned in the same breath as Manly Wade Wellman's Devil's Planet (1942) and John Russell Fearn's The Master Must Die (1953) and The Lonely Astronomer (1954) as precursors to Isaac Asimov's Caves of Steel (1954) and The Naked Sun (1957). That and the fact that the book has made me want to revisit Cowboy Bebop. So that's positive, I guess. 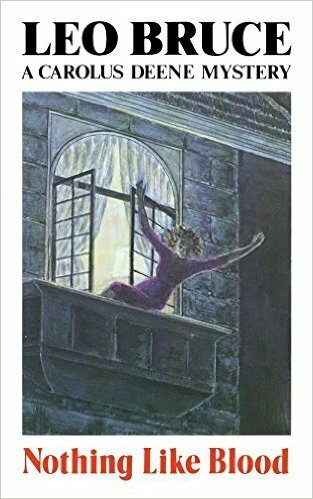 Well, let's end this review on a semi-positive note by pointing out two recent reviews: the reason for lifting Murder in Space from my TBR-pile was a recent review by John Norris of The Bloody Moonlight (1949) by Fredric Brown – a much beloved writer of both detective stories and science-fiction. Secondly, I previously reviewed The Mystery of the Shrinking House (1972), which I enjoyed vastly more than the subject of this blog-post. Finally, I hope to uncover something better for the next review. So stay tuned.